The used car market is growing at a faster pace in India. 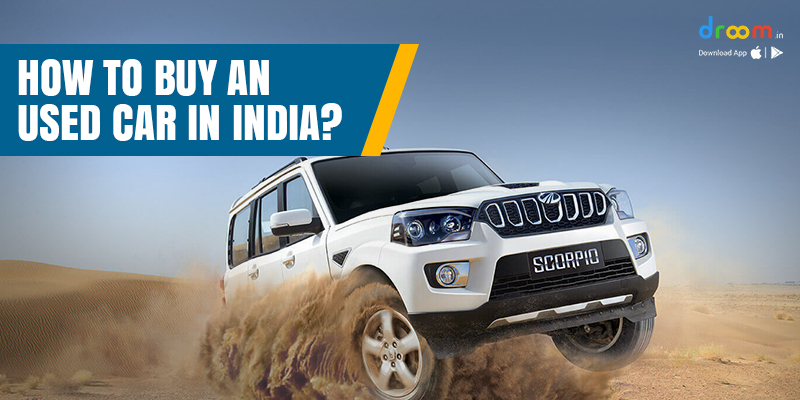 Although, the market for pre-owned car is 1.5 times higher than the new car market in India. But, a major section of society is still confused about the trust and quality offered by a used car. The initial step is to decide the budget for purchasing a pre-owned car. Next, is the selection of car type, model, source and finance options available to complete the purchase. Based on the design, cars are categorized as SUV (Sports Utility Vehicle) looks very similar to a station wagon, MUV (Multi Utility Vehicle) designed in the shape of a van and XUV (Xtreme Utility Vehicle) is known for its impressive design and the expansive feature list. The customer should check and purchase an existing car variant. Consider, reading the reviews that will help you in better understanding of the experience of pros and cons for a vehicle. 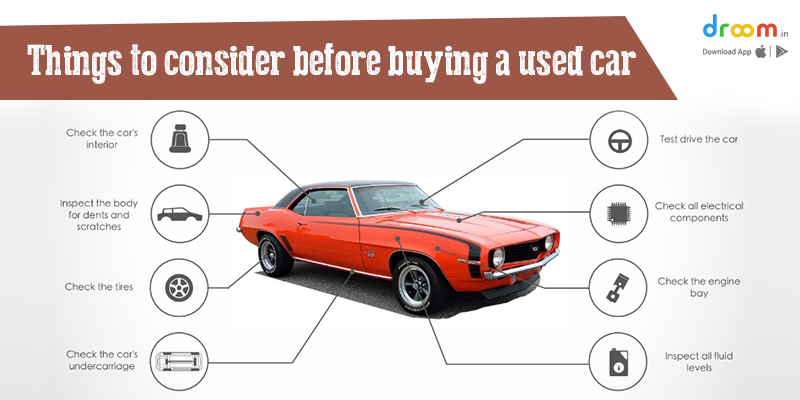 A customer can purchase a Used Car using a variety of online and offline channels. The online channel is defined as the web and app interface that works using the internet. Whereas, the offline medium includes the direct sales, advertisements, dealers and brokers. It is recommended to go for an online channel, reason being you will have the access to more variety, sorted comparison and instant seller communication. It is recorded that more than 75% of car buyers, find it hard to pay the entire amount in a single go. Now, the customers have an easy access to a vivid financing option. These financers will transfer the entire amount in the sellers account and the customer will have to pay some monthly premium for the purchase of the used vehicle. Once you plan your purchase, mark your consideration to check the service history, certification, type of dealer and the usage of the car. Prefer purchasing a car with fully documented service record. This will help in analyzing the condition and the exact value of the vehicle. Some car manufacturers and agencies sell certified cars only. These Cars underwent through detailed checks to determine the exact state of the vehicle. Avoid investing in an unpopular variant, discontinued model, repainted body, a highly modified car or a car that is purchased long back and is driven very less. Go for a test drive along with a knowledgeable companion. It is suggested to examine the vehicle in daylight and clarify all your concerns with the seller before going on the test drive. Most of the vehicles have a unique “Vehicle Identification Number” using which you can extract the information about the car along with the year of manufacture. Make sure the seller puts all the commitments in written. The customer should get the insurance transferred, RTO transfer papers and collect the duplicate keys. Along with this, record the date, time and the odometer reading at the time of delivery of the vehicle. Now, when you have complete knowledge about the purchase of a used vehicle. You can search and select the car variant that suffice your preferences and priorities.